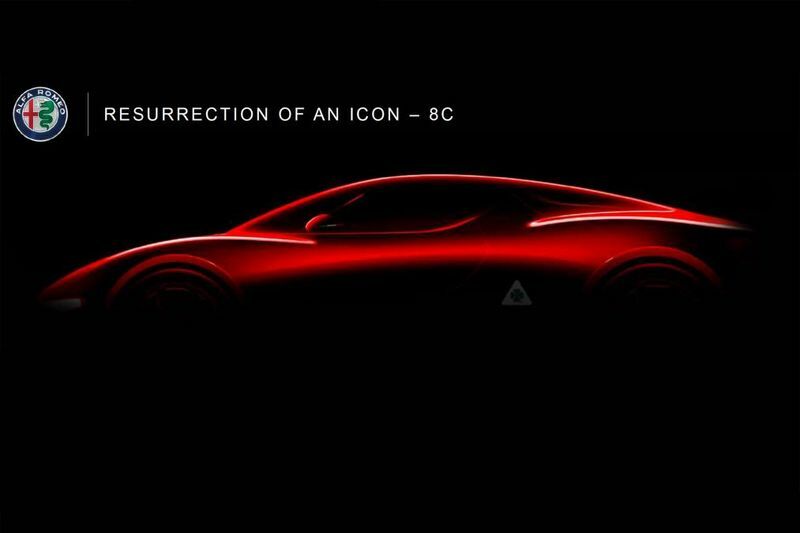 Home / Automotive / News / New Alfa Romeo 8c And Gtv On The Way... We Are Super Excited! Alfa Romeo will launch seven new or refreshed models by 2022 – including two new SUVs, a GTV sports car, and a new 700bhp electrified 8C supercar. Quoting old Jeremy Clarkson: "You're not a true petrolhead until you've owned an Alfa", now here is your opportunity! The aggressive product onslaught was announced by new Alfa brand boss Timothy Kuniskis at parent company, FCA’s Capital Market Day, conference in Italy. The plans will ensure Alfa Romeo covers 70 percent of the global premium market by 2022. Key to its success will be the two new SUVs. The cars will sandwich the current Stelvio, with the smaller model targeting rivals like the BMW X1 and Mercedes GLA. The larger SUV will have its sights set on the Volvo XC90 and Audi Q7. All three SUVs – including the Stelvio, will be offered with plug-in powertrains in the future. Kuniskis also announced plans to revive the GTV nameplate with a Giulia-based two-door, four-seat sports car. Topping the range will be a four-wheel drive 600bhp Quadrifoglio model. According to the Alfa boss, it’ll have “perfect 50:50 weight distribution”. (which we haven't seen in quite some time on day-to-day cars other than BMW). Lesser petrol and hybridised models are expected, too. Elsewhere, Kuniskis confirmed the Alfa will remove the slow-selling 4C from the range, adding a new 8C halo model before 2022. He addressed the room of journalists and investors, saying: “Our future depends on staying true to sports car roots. We will bring to market an aspirational supercar”. The all-new 8C will use a carbon fibre monocoque chassis with a twin-turbo V6 engine boasting more than 700bhp. It’ll get an electrified front axle, with the petrol engine sending power to the rear. It’s likely the Italian brand will target models like the Audi R8 and McLaren 570S with the revived 8C supercar. Kuniskis also announced plans to launch China-specific long-wheelbase versions of the Giulia saloon and Stelvio SUV. Both will be based on facelifted models – alongside a heavily revised (but not all-new) Giulietta hatch – before 2022. The MiTo supermini/hot hatch, will not be replaced.